A study recently published in The New England Journal of Medicine has had parents talking — and leaving some of them a bit confused! It reopened a can of worms, or in this case, a jar of peanut butter! To rewind, in 2000, the American Academy of Pediatrics recommended that parents wait until a child turned 3 years old to try foods associated with high risk of allergies, such as nuts, eggs and fish. The belief was that infants’ immune systems weren’t ready for these foods. In 2008, the academy revised the recommendation and concluded that parents don’t have to wait to introduce peanut butter to otherwise healthy babies. Many of the physicians who participated in the study began hypothesizing that avoiding such foods might prompt a more dramatic immune response later. Since 2008, numerous studies have been conducted to test the hypothesis. The New England Journal of Medicine published one of the long-awaited results in February, which stated that the introduction of peanuts to children in infancy “significantly decreased” a child’s likelihood of developing a peanut allergy. Dr. Ingram agrees and explains how the body responds to new foods, such as peanut butter. The revised study incorporated peanut butter into a child’s routine by including a half teaspoon three times per week. Once you have incorporated peanut butter, or any new food, into your child’s meal plan, you’ll want to start watching for signs of a food allergy. Skin: Skin reactions are the most common type of food allergy reactions and can include itchy, red, bumpy rashes (hives); eczema; or redness and swelling around the mouth or face. 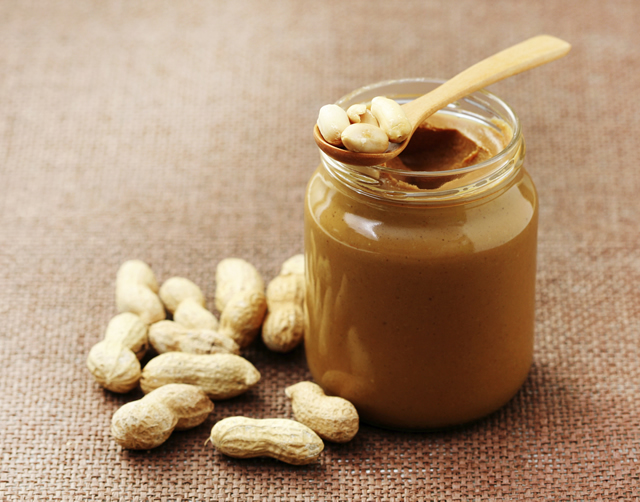 A rash can happen when a nut or peanut comes in contact with the skin, even without eating it. Gastrointestinal system: Symptoms can include belly cramps, nausea, vomiting or diarrhea. Respiratory system: Symptoms can range from a runny or stuffy nose; itchy, watery eyes; and sneezing. This can also trigger asthma with coughing and wheezing. Cardiovascular system: A person may feel lightheaded or even faint. In the most serious cases, a nut or peanut allergy can cause anaphylaxis, which is a sudden, life-threatening allergic reaction. A person’s blood pressure can drop, breathing tubes can narrow and the tongue can swell. Dr. Ingram advises that people at risk for this type of a reaction have to be very careful.